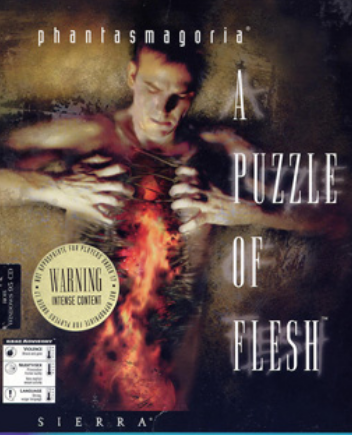 Phantasmagoria: A Puzzle of Flesh was the second and final game in the Phantasmagoria series. A writer named Adrienne Delaney moves into a mansion where a demon possesses her husband's body. A worker at a pharmaceutical company experiences hallucinations while his co-workers are being killed, leading him to wonder if he's doing the killing.